Groupe Doo Wop féminin US originaire de New York (New York), fondé en 1955. 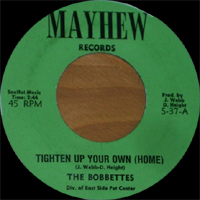 Les Bobbettes sont composées de Emma Pought, Janie Pought, Laura Webb, Helen Gathers et Heather Dixon. 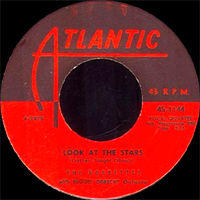 Elles ont débuté en 1957 et ont enregistré pour Atlantic, Galliant, Triple X, End, Gone, King, Jubilee, Diamond, RCA et Mayhew Records. 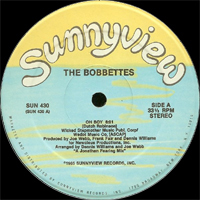 Les Bobbettes se sont séparées en 1974. 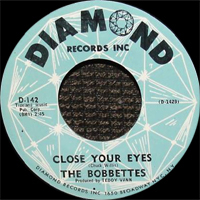 The Bobbettes were among the first successful girl groups of the rock era; in a field dominated by male artists, their 1957 hit "Mr. Lee" not only cracked the pop Top Ten, but also hit number one on the R&B charts. 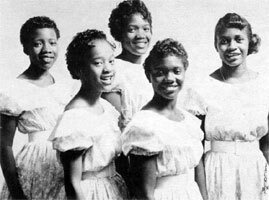 Originally dubbed the Harlem Queens, the group teamed sisters Emma and Jannie Pought with Laura Webb, Helen Gathers, and Reather Dixon; first meeting in 1955 while singing in the glee club at Harlem's P.S. 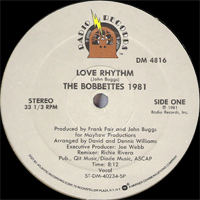 109, soon the girls were appearing at the Apollo Theater's legendary amateur nights, and through manager James Dailey, they landed a contract with Atlantic. 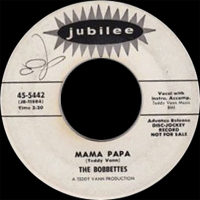 Inspired by one of their school teachers, the Bobbettes' debut "Mr. Lee" appeared in mid-1957 and was also their biggest hit; four Atlantic follow-ups failed to chart, and after issuing the ballad "You Are My Sweetheart" in 1959, the group left the label for the Triple-X imprint. 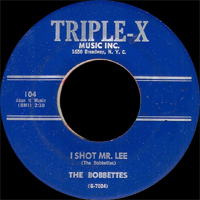 There, "I Shot Mr. Lee" — a song recorded for but rejected by Atlantic — began to climb the charts, forcing Atlantic to release their own version and effectively killing the single's momentum; although the subsequent "Have Mercy Baby" and "Dance with Me Georgie" both emerged as minor hits, in 1960 the Bobbettes moved to End Records, cutting the standard "Teach Me Tonight." 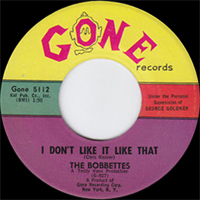 1962's "I Don't Like It Like That," an answer song to the Chris Kenner hit "I Like It Like That," was the group's last chart entry, although they continued recording for a series of labels — most notably Diamond and Mayhew — through 1974, touring oldies circuits in years to follow.